We make bespoke lighting surfaces for interiors using the unique translucency of porcelain. The malleability of clay to be moulded and shaped into any design gives unlimited flexibility and uniqueness. Making spaces beautiful with personalised display and signage, sleek surfaces for interiors, bars and kitchen splashbacks. The natural, beautiful material of porcelain makes your message long lasting in luscious glazed ceramic surface. Designs are subtle yet striking when lit, creating a feature and distinct ambiance. Our friendly approach and enthusiasm is pivotal in creating pieces that realise a shared vision and aesthetic. We are driven by quality and a desire to make every day spaces beautiful. Susan Lake Lighting Design is an architectural lighting design consultancy, specialising in designing independent lighting schemes for commercial and residential projects. Led by Susan Lake who has over 10 years of design experience covering a range of projects from around the world. Having worked on many luxury projects we understand what is required to achieve a very high standard of design quality. We offer a considered, integrated approach to lighting, working with interior designers, architects and clients to create imaginative, inspiring and cost effective designs. Our main objective is to create beautiful, concealed lighting schemes that enhance the space and bring architectural features, textures and finishes to life. Above all else we strive to create a considered lighting scheme that our client will appreciate and enjoy. 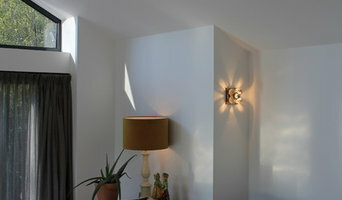 We offer lighting, lampshade design and manufacture and lighting design. We have a large range of unique lighting and homeware in both retail and online and we offer a bespoke lampshade making service. Ruby Watts showcases a collection of one-off, unique, vintage designer lighting. Established in 2003, Eleni Shiarlis Lighting is an independent lighting design consultancy that provides professional and innovative lighting design solutions, along with professional advice, for residential and commercial properties. 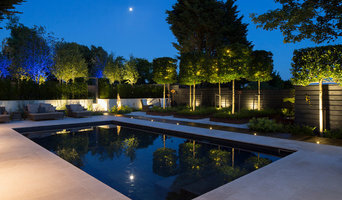 We provide both interior and exterior lighting design schemes, with every design providing an innovative lighting solution that achieves the perfect balance between function and aesthetics. We understand the role of lighting in architecture internally and externally and rely on our extensive experience and knowledge of lighting equipment and systems to enhance and strengthen design. We believe that a professional lighting designer will add value to any project, whether large or small, interior or exterior, public or private. We bring a combination of technical acumen and sensitive design technique to every project. Through cost-control techniques we can help our clients achieve improved energy efficiency and reduced lighting costs, so rather than thinking of us as an expensive luxury, think about us as an investment for both you and for the future of our environment. It all started with a healthy brass obsession and a starter home we wanted to make our own. SO WE SOURCED THE PARTS AND MADE OUR OWN... We proved to ourselves that we could make custom lights at a reasonable price. So what began with a love for design and a desire to make something special for our home, has turned into a passion for helping others do the same. We curate, source and design the highest quality parts and products to help you create the perfect light for your space. Our shop is full of our favourite designs for you to choose from, most of which are customisable right on the product page. But we also encourage our customers to contact us with their ideas and custom requests. Some of our favourite creations have been collaborations, it's what makes what we do so special! Paper Rooms specialises in lighting, we are authorised dealers for a variety of creative lighting designers including Artemide, Santa & Cole, Muuto, &Tradition, Anglepoise and Flos. We stock most of the items listed where items are dispatched the next day. We look after a range of commercial clients and projects and aim to be a single source contact for a project's designer lighting. Due to normal stock levels we can fulfil most orders the same day. We understand and appreciate the importance of a projects deadline and pride ourselves on doing what we can to ensure your deadline is met. Registered Office: Paper Rooms, Unit 6, BURGESS HILL, West Sussex, RH15 0AF, United Kingdom. Company Registration No: 08211468. VAT Registered GB 168 9315 68. Lighting Force Ltd. - Forever inspired by lighting, in our innovative lighting design we combine artistic flair with attention to detail. Experience complements skill, smoothing the design process for projects big and small, domestic and international. Nick Mailer has a wide experience of specialist lighting and crystal installations having completed many projects in the UK, Europe,and throughout the world. We would be delighted to discuss your lighting requirements be it a single downlight, bespoke chandelier to a complete project. VARILIGHT is the brand name of Doyle & Tratt Products Ltd the leading British manufacturer of dimmer switches and decorative switches and sockets and other wiring accessories. The VARILIGHT brand is synonymous with quality, choice, value and innovation not only in technology but also in leading the market in on-trend decorative finishes across the comprehensive VARILIGHT range of wiring accessories. At Lume we are passionate about lighting and believe that everybody should have lights in their home that they love. 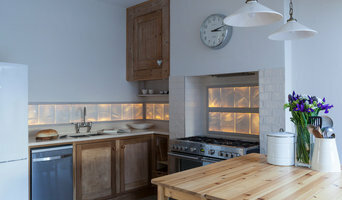 Lume Lighting is the work of Joanna Corney, a maker and designer who has run her homeware business for several years now. 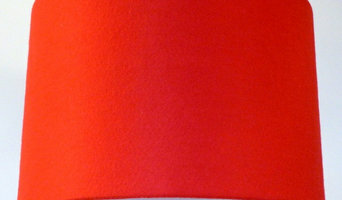 Lume was born through Joanna’s passion for creating bespoke handmade lampshades. All of our lampshades are carefully handmade in our studio in Hove and we are able to make a variety of styles, including traditional soft shades, contemporary drum and tapered lampshades. Lume offers a bespoke made to order and recovering service too, meaning you can have your lampshade made in your favourite style and fabric. Joanna currently runs lampshade making workshops in a variety of venues throughout Brighton and Hove and can even put on lampshade making parties in a venue of your choice! We are a small team of artisans that are passionate about making unusual/boho lighting & lamps and other quirky home decorations that will inspire and impress. We aim to make beautiful products from high quality materials because every single creation is a representation of who we are. We also make bespoke lighting and wall hangings. Joanna Corney creates architecturally inspired patterns for the home. Her designs create a fresh and graphic collection that includes wallpaper, interior textiles and accessories. Joanna’s designs have developed from her love of cities and architecture, capturing their detail and beauty within her fine line illustrations. He most recent range has been inspired by art deco architecture. From producing initial drawings of buildings, she then used the motifs and shapes from within those drawings to create her distinct patterns. Joanna graduated in Textile Design from Nottingham Trent University in 2010 and started making her products by printing on her kitchen table. She now works from a small studio in Hove, where she continues to create designs and extend her range. Apart from actually designing and creating lights, a lighting designer, or lighting specialist, will also know where in your home to install lights in order to create the visibility levels you need and the mood you desire for a space. All lighting specialists in Brighton, East Sussex should be knowledgeable about energy efficient lighting and the technical installation of various lighting systems, so you can ask them for advice when it comes to updating your lighting systems. As well as lighting designers, Brighton, East Sussex lighting manufacturers may also be able to create bespoke lighting systems that will be designed to fit perfectly with your home, or perhaps if you just want a few key lighting pieces then you can find the Brighton lighting manufacturers that sell the style you’re looking for. Floor lamps and side lamps are great ways of adding subtle lighting when you don’t want harsh overhead lights, or light sconces on the side of the walls are ideal for traditional, more formal settings, or perhaps you could opt for more unusual sconces that can work as an illuminated wall feature? Manufacturers should be lighting specialists too, so they should be able to advise on which lighting piece would work best where in your house. In the kitchen, pendant lighting is a popular choice to hang over the breakfast bar or dining table and undercabinet lighting is a convenient way of adding more light when preparing meals. Lighting designers and lighting manufacturers in Brighton, East Sussex will be able to professionally install these lighting elements for you, so you won’t need to worry about wiring or positioning bulbs in the right place. Find a lighting designer or manufacturer on Houzz. Narrow your search in the Professionals section of the website to Brighton, East Sussex lighting designers and lighting manufacturers. You can also look through Brighton, East Sussex photos by style to find a design you like, then contact the lighting specialists or designer that worked on it.